ESPN reports a couple roster moves for the Bears Monday, as the team inked DT Mick Williams to a two-year deal, and dumped injured defensive tackle Averell Spicer. The Bears announced on Monday the signing of defensive tackle Mick Williams to a two-year contract, while in other moves, the club waived injured defensive tackle Averell Spicer. 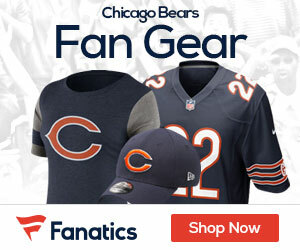 The Bears didn’t disclose financial terms of Williams’ contract. An undrafted free agent who joined the New York Jets after the draft, Williams earned 2009 Big East co-Defensive Player of the Year honors at the University of Pittsburgh. Williams also earned recognition as a first-team all-conference pick. Williams had five sacks at Pittsburgh last season, in addition to 17 tackles for lost yardage while forcing three fumbles in 13 games. Williams posted 98 tackles, 12.5 sacks and 33.5 tackles for lost yardage over his collegiate career.